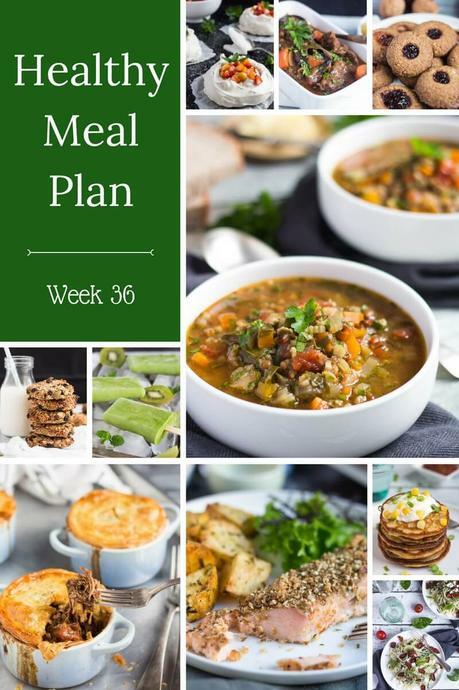 This week's menu plan is full of easy to make home cooked meals. 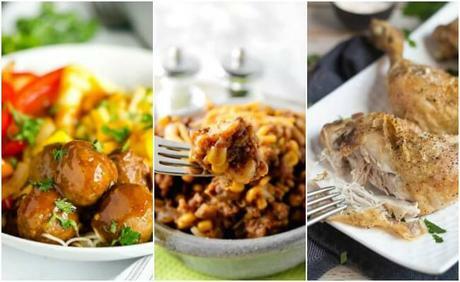 Turkey meatball noodle bowls, roast chicken or slow cooker chili mac are all quick to prepare and are guaranteed crowd pleasers. And why not whip up our no-bake peanut protein bars for delicious snacks. Apparently The Princess is not fond of fish curry. Or maybe she was just hungry. Either way, I witnessed a spectacular meltdown this week when she discovered what was for tea. Gotta love teenagers - they are so entertaining sometimes. The fish curry was delicious though, and very easy to make in advance. I highly recommend it. 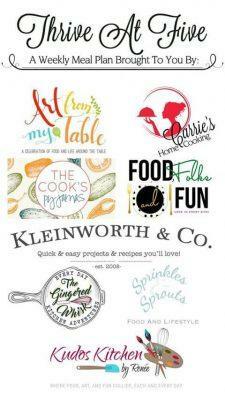 Our autumn menu plan this week is full of easy to make home cooked meals. 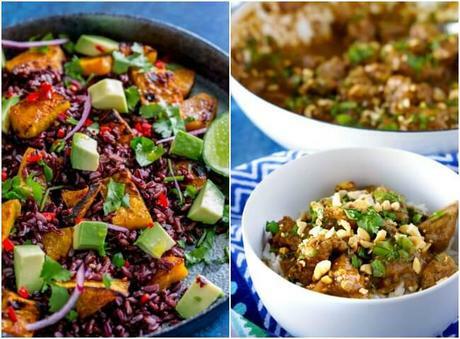 Whip up our turkey noodle bowl, or pair our black rice salad with weeknight roast chicken for the easiest of meals. 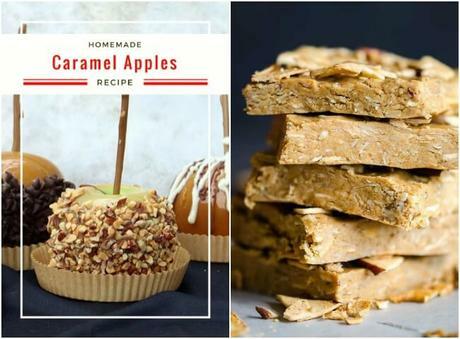 And make sure you pin the caramel apples on this week's menu for Halloween or other celebrations. Enjoy! Monday: Creamy Pork & Pea Pasta. Tuesday: Lemon & Oregano Chicken Traybake, served with steamed broccoli. Wednesday: Sweet Potato & Chorizo soup, straight from the freezer. Thursday: Fisherman's curry, served with spiced basmati rice and naan bread.